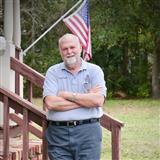 I am Hank Thompson, Owner/Instructor of Real Estate School of Florida and Broker/Owner of THOMPSON Real Estate Services. Welcome to my website! Here you can find a wealth of information about BUYING AND SELLING REAL ESTATE and REAL ESTATE EDUCATION. I am committed to providing you full service at a reasonable price. Contact me to learn details for Real Estate Buyers & Sellers as well as CURRENT and FUTURE Real Estate Professionals! Once again WELCOME and thanks for visiting!